Posted 18 January 2019 . 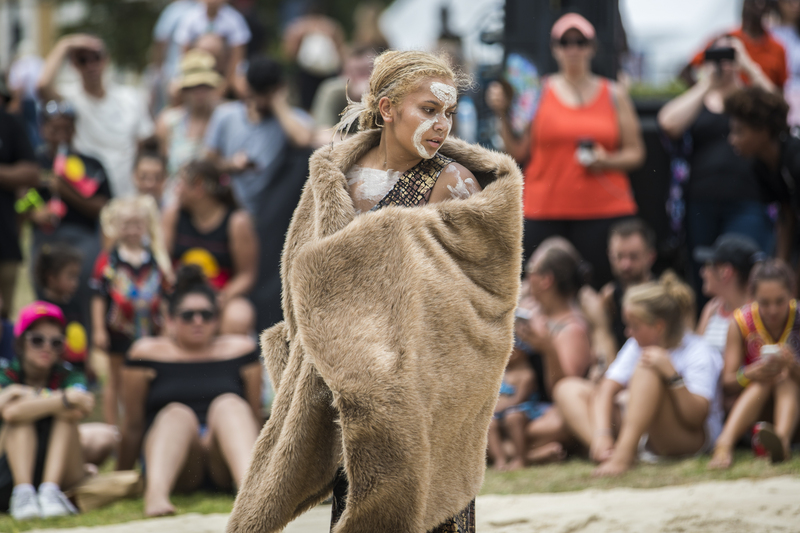 Sydneysiders will gather on Gadigal land in Victoria Park on Saturday 26 January to acknowledge and celebrate the survival of Aboriginal and Torres Strait Islander peoples and cultures, with an exciting program of music, dance, art and discussion. Sydney Lord Mayor Clover Moore said, “Yabun is one of the biggest festivals of its kind, and gives our Sydney community and visitors alike an opportunity to recognise the survival of Australia’s First Nations peoples, and to learn more about Aboriginal and Torres Strait Islander cultures today”. This year’s event includes an expanded Corroboree Ground where dance groups will perform, and bustling market stalls will offer Indigenous items including clothing, jewellery, arts and crafts. 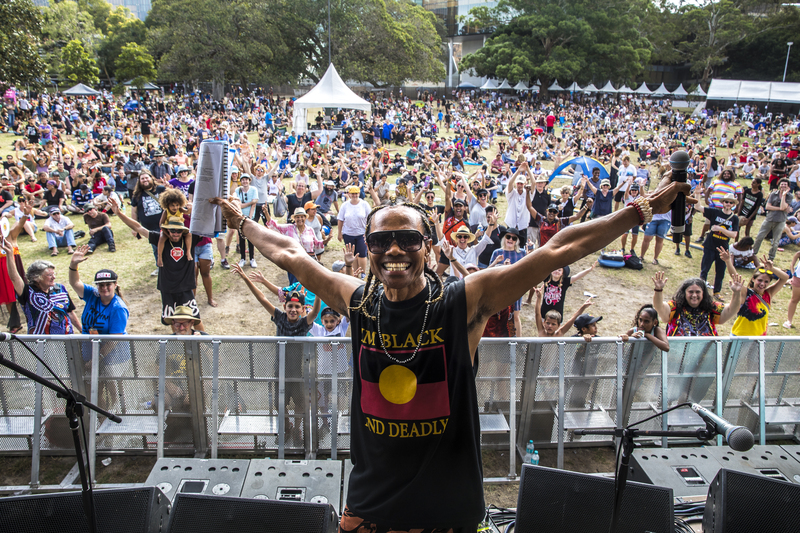 ‘Yabun’ means ‘music to a beat’ in Gadigal language, and this year’s line-up includes hypnotic singersongwriter Thelma Plum, the Koori King of Country Roger Knox, Mutti Mutti blues man Kutcha Edwards, local grassroots reggae act Green Hand Band, and ‘kid from the block’ MC Sonboy. Other acts include pop/soul sensation and 2017 X-Factor winner Isaiah Firebrace, deadly urban duo Shakaya, rising R&B songstress Rebecca Hatch and the latest emerging Young, Black and Deadly crew. 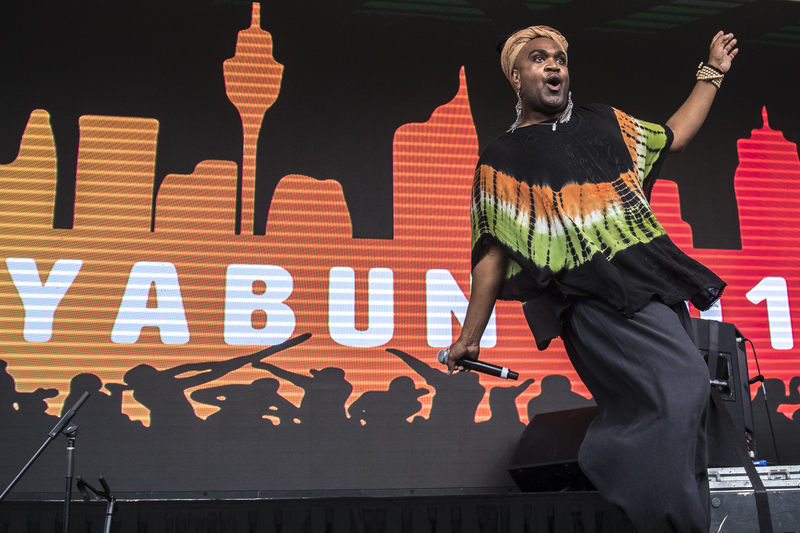 Yabun also offers a cultural program of panels and speeches by leaders, academics, politicians and artists in the ‘Speak Out’ tent where community leaders discuss some of the important topics affecting Aboriginal and Torres Strait Islander people. “The theme for this year’s Yabun, ‘Spirit of Survival’, pays homage to the origins of the ‘Day of Mourning’ protest which began on the 26th of January, 81 years ago in 1938,” said Yabun Festival Director Blake Robinson. 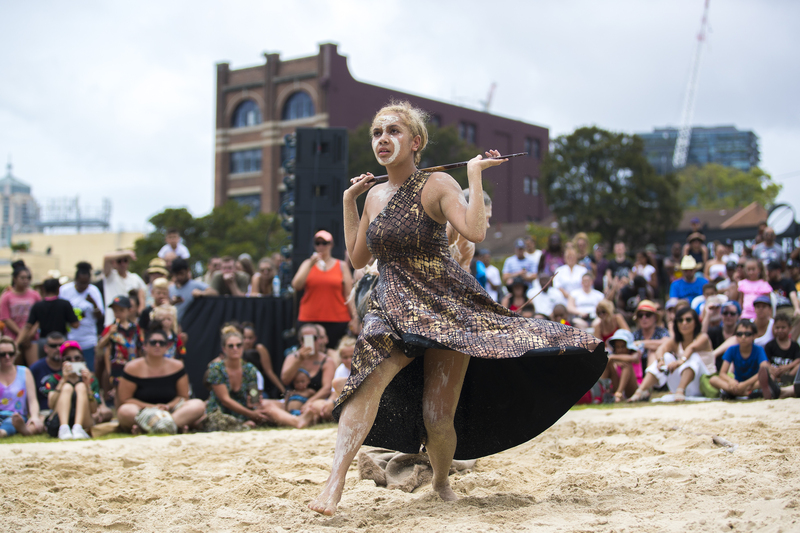 The City of Sydney has supported the event since 2004, providing $110,000 cash sponsorship towards this year’s festival, organised by the Gadigal Information Service Aboriginal Corporation. “We are proud to continue our support for this important celebration and I look forward to speaking at the event and enjoying the exciting line-up of dance and performance,” said Lord Mayor Clover Moore.